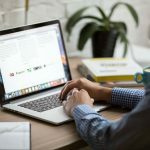 Home » Software » Why Use a VPN When Doing Public Web Browsing? It can cloak and encrypt your IP address and your signal, making your digital footprint illegible to any hackers or eavesdroppers. It manipulates your Internet Protocol address (IP address) making you appear to come from different country, location or a different computer. 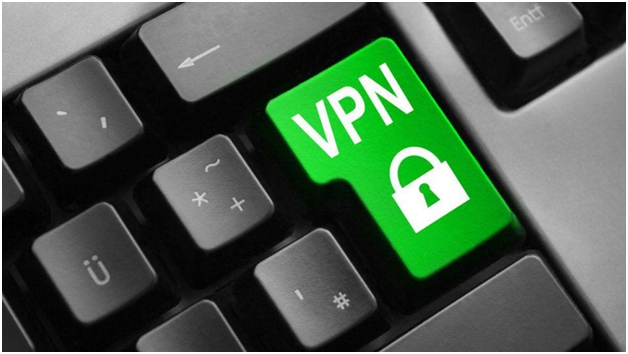 While using the VPN can slow down your internet connection speed up to fifty percent, there are reasons why you need to mask or cloak all your activities and change your IP address from time to time. You can have full access to streaming sites like Netflix from outside the United States. The United States is very strict when it comes to copyright agreements. Companies like Hulu, Pandora, Netflix, and other video streaming providers will not broadcast all of their contents outside the United States. It means that favorite TV shows and movies are blocked to users from the UK, South America, Canada, Asia Europe, and Australia. So, if you are tired of watching the BBC, or any shows outside the United States, your best choice is to use a VPN service. The bad news is enforcement agencies will read your IP address when you log in to your account and trace it back to your country of origin. By using a virtual private network service, you can manipulate your computer’s IP address to be from within the United States. It can unlock all the access to more streaming services. You need to configure your movie player, mobile device or your computer device to use the VPN connection. If you are a fan of these streaming sites, the cost and effort of setting it up are worth it. The Motion Picture Association of America and other music and cinema association are entirely against peer-to-peer file sharing because of legality and profit reasons. MPAA and other authorities want users to forbid sharing music and movies online. They caught offenders by pretending to be a fellow file user and sharer, or by eavesdropping on your connection or ISP signal. A virtual private network can be a P2P sharer’s best tool in their arsenal. While it is true that a VPN connection will slow your internet connection by up to fifty percent, it will also cipher every file that you download, upload, and IP address so can’t be identified by the authorities. If you are sharing a file with other P2P users and you don’t want to be sued for copyright infringement or face a civil lawsuit, you have to consider spending $15 a month for an excellent VPN service. The protection and privacy VPN can provide definitely worth it. You can use public Wi-Fi connection with confidence. Most people are not aware of this, but hotspots from coffee shops or a $10 per day for a hotel Wi-Fi connection are not safe if you want your emails and browsing confidential. Public connections and Wi-Fi offer little to no encryption security to the users, and your signal can be broadcast for anyone to eavesdrop. Even beginner hackers can easily intercept your unencrypted Wi-Fi connection using a Firefox Tamper Data plugin or an Evil Twin hotspot. Public Wi-Fi connection has no security at all. It is the biggest reason why mobile phone users are spending five to fifteen dollars each month for VPN services and protect themselves from hackers and the likes. When you use a VPN in a public hotspot, all your web use will automatically be encrypted and hidden from hackers. If you are a frequent traveler or uses public Wi-Fi on a daily basis, then getting a VPN service is a wise investment. You can bypass the country’s content surveillance and censorships. Just like “Acceptable Use” policies in schools and the workplace, some countries choose to impose strict and oppressive guidelines regarding internet censorships in their country. China, Saudi Arabia, Cuba, Egypt, Afghanistan, Belarus, and Syria are some of the examples of countries which limits the access of their people to the internet. If you are living in one of these countries, connecting to a VPN server will let you tunnel out of all the restrictions and use the full potential of the World Wide Web. It will also conceal your browsing activities from the government’s eavesdropping. Just like any other VPN services, you will experience a slow bandwidth connection, but the freedom is worth it. Despite all the reasons mentioned above, you still believe that personal privacy is every person’s right. You have the right to broadcast and receive anything without being spied and cataloged by the government. That is the biggest reason why people are spending at least 15 dollars per month for a good VPN connection service.